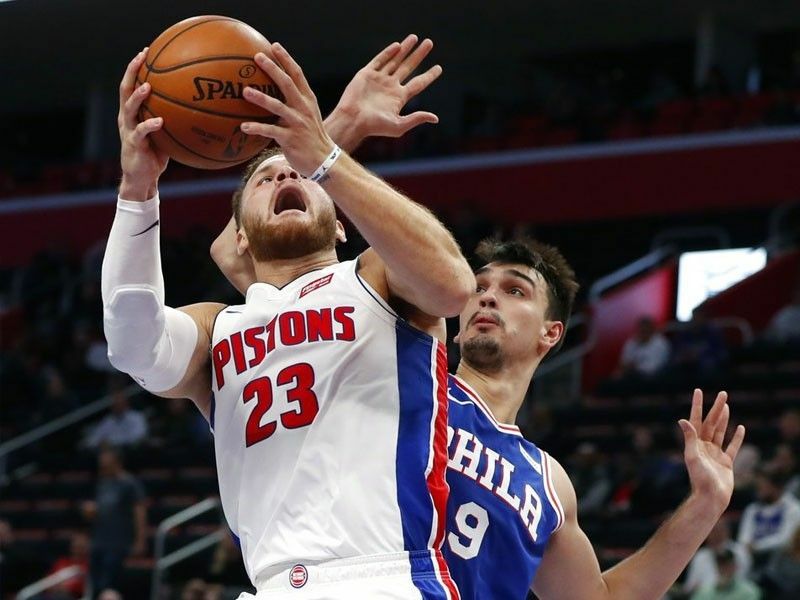 It was a thrilling sequence of events in the final minute of the over time game won by the Detroit Pistons against the Philadelphia 76ers, 133-132 on Tuesday night. Blake Griffin doing some heroic baskets in the fourth quarter and in the over time period. In the final 2 minutes of the fourth period, the Sixers and the Pistons hits crucial three pointers of their own. Blake Griffin and JJ Redick trade baskets and no one wants to give an inch against each other. Joel Embiid also provided some defensive stops that prevent the Pistons took over in the fourth. Blake Griffin was unstoppable in the paint. He was also superb in carrying the ball and getting some three pointers to go. Dario Saric had a chance to win the game in the fourth with his open three-pointer but it just didn't went in. In the over time period, the Pistons took the momentum early with 2 consecutive threes by Blake Griffin and Ish Smith to lead by 6 points. But JJ Redick get them back to the game with his crucial three and an and 1 play after laying it up to the basket. And as the clocks wind down, the Piston still leads by 2 points with 9 seconds to go, Redick buries a dagger three plus a foul to make it a four-point play that gives them a two point lead with only 5 seconds remaining in the game. In the last seconds, Detroit immediately gave the ball to Blake Griffin and he fake a pass to Bullock and as the defender bites with his tricky play he had an open lane to the basket; he drove to the rim and finished strong plus a foul. He made the free throw and that sealed the win. Blake Griffin finished the game with his new career high 50 points with 14 rebounds, 6 assists and 1 block shooting 57.1% from the field including 5 three-pointers made. The rebounding machine Andre Drummond added 14 points, 16 rebounds, 2 assists, 3 steals and 2 blocked shots. Reggie Jackson already back and looking great this season scores 23 points with 3 rebounds and 3 assist. He hits 3 three pointer. Ish Smith puts the spark off the bench providing 21, points, 1 rebound, 3 assists and 1 block having a terrific field goal of 9 for 12 and 2 for 3 from beyond the arc. Reggie Bullock also had a great game scoring 17 points, 2 rebounds and 3 assists shooting 42.9% from the field. 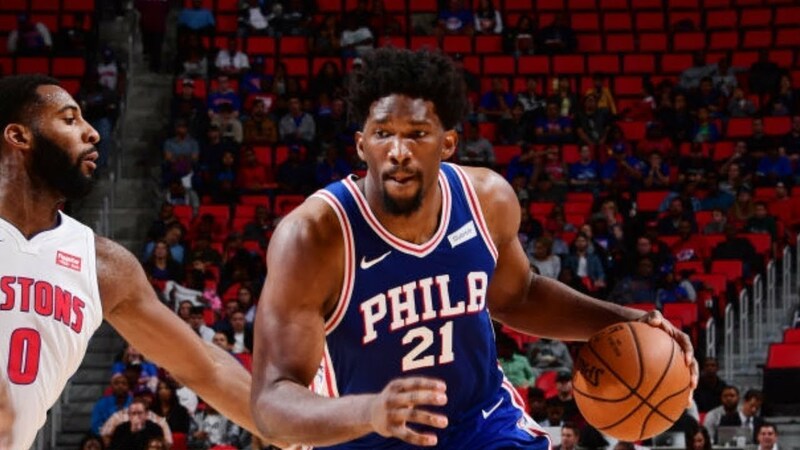 For the Sixers, Joel Embiid battles hard down low against Drummond and Griffin, and he recorded 33 points, 11 rebounds, 7 assists and 3 blocks. He was an absolute beast against 2 elite big men. JJ Redick was busy hittin buckets as he helps Embiid with his 30 points, 6 rebounds and 6 assist. He shot 42.9% from the field and made 6 threes. Robert Convington had a total of 16 points, 8 rebounds, 2 assists, 1 steal and 1 block including 3 three-pointers made. Dario Saric added 14 points, 8 rebounds, 5 assists, 1 steal and 1 block. He had a bad shooting night as he only made 2 out of his 11 three point tries. Markelle Fultz had a pretty decent game producing 13 points, 6 rebounds, 1 assist and 1 block. Ben Simmons was out due to an injury. Joel Embiid steps up but the team still came up short. Markelle Fultz should do more and put more effort. He must prove that he's worth the first overall pick. He was fine defensively but he must show his dominance like what he did in college basketball.